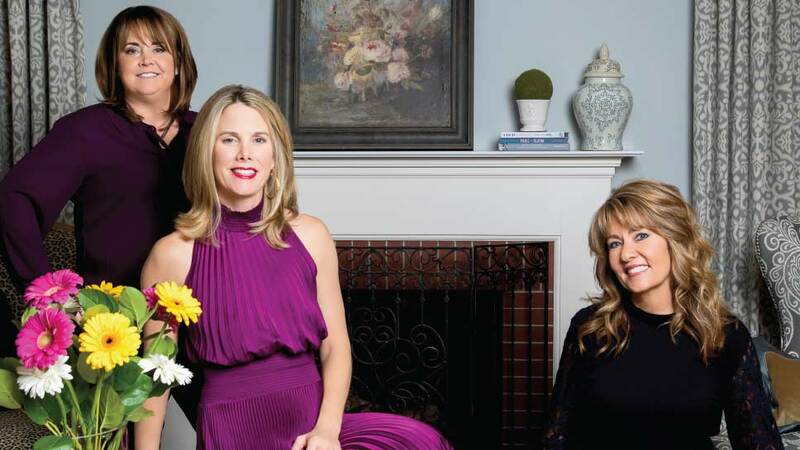 While the weather outside may still be gray and gloomy, members of the Hinsdale Auxiliary of Infant Welfare Society of Chicago invite you to sip a cocktail and go shopping in a garden-themed Tablescapes event that is sure to inspire. ‘Bloom,” a theme that started with the image of a fancy tea in an English garden, will feature elaborate table settings of many descriptions with a focus on florals. 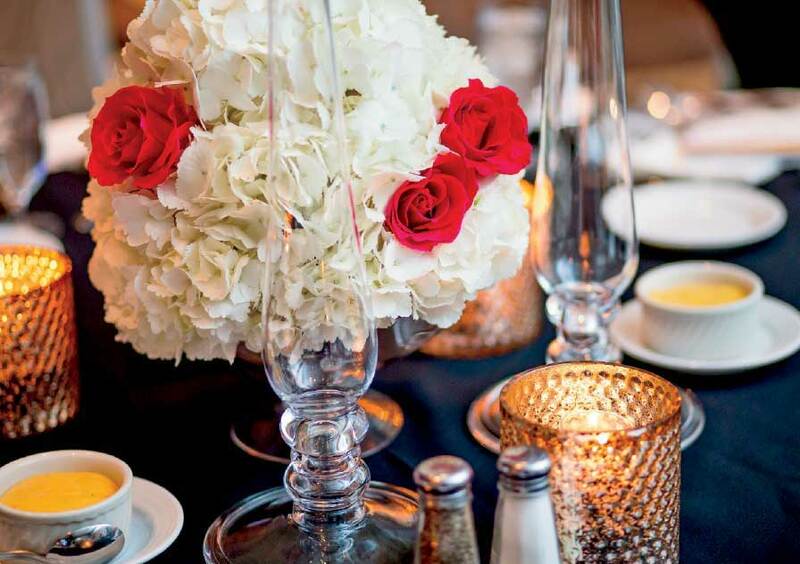 From formal French to Zen, tropical, herb, and others, flowers are the stars of the tables the hard-working volunteers will assemble for the Sunday, March 10 event. 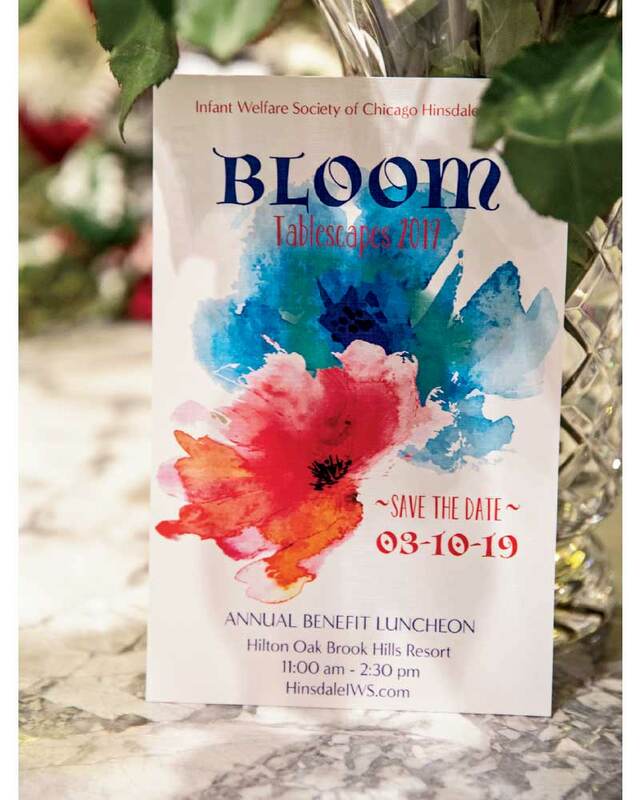 Considered the signature annual fundraiser for the organization, “Bloom” is being held at the Hilton Chicago Oakbrook Hills Resort in Oak Brook. More than 500 guests are expected at this annual event that raised $95,000 for the Angel Harvey Family Health Center last year alone, and more than $500,000 since its inception 20 years ago. The work of Infant Welfare Society has improved the lives of children and families in need for more than a century. Since 1924, it has incorporated child development and behavioral health into its primary care model, and since 1970 it has provided pediatric dentistry services to low-income children. Orthodontic care was introduced in 1991 and pediatric optometry in 1995. In 2015, Infant Welfare launched the Child-Centered Health and Advanced Therapies (CHAT) program for children with special needs. Infants, children, mothers, fathers and grandparents all receive exemplary care at the center. Featuring lunch, boutique shopping, and a silent auction, the annual Tablescapes event takes about six months of planning. From there, it’s an all-hands-on-deck effort with each member actively contributing time, ideas, and plenty of heavy lifting to bring each table to life. But for as much work as it is, in the end, it’s all a labor of love. 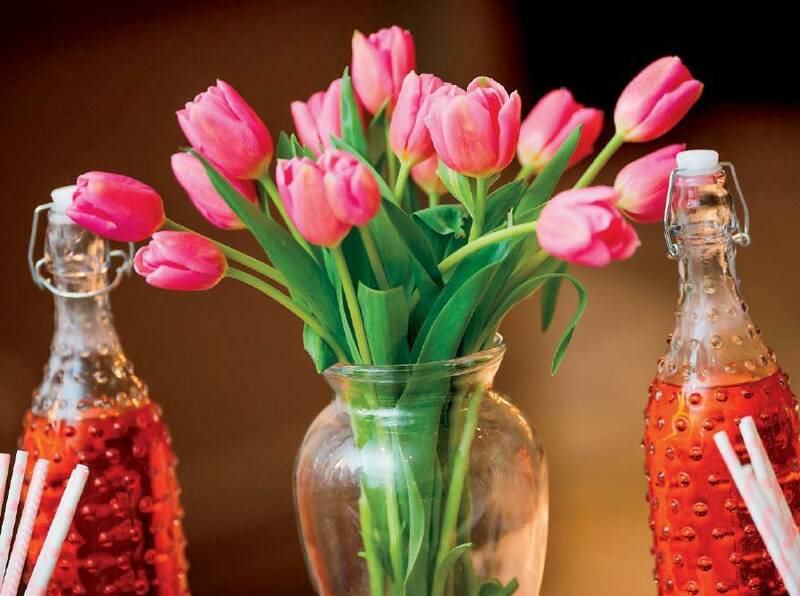 For more information about this year’s Tablescapes “Bloom” event, visit hinsdaleiws.com.